← Are You Climbing a Broken Ladder? It is obvious that Paul was not praying for his journey to prosper financially, for the next verse indicates his long desire had been to “impart unto you some spiritual gift, to the end ye may be established” (Romans 1:11). However, the word has come to include any kind of prospering, as in 1 Corinthians 16:2, when Paul urged Christians to provide financial help for other Christians in need. “Upon the first day of the week let every one of you lay by him in store, as God hath prospered him,” he said. 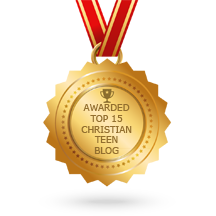 This entry was posted in A CLICK A BLESSING TODAY, CHRISTIAN NUGGETS and tagged The Gospel of Prosperity. Bookmark the permalink.